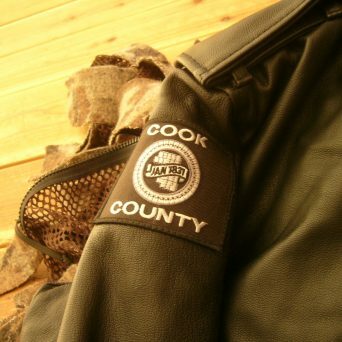 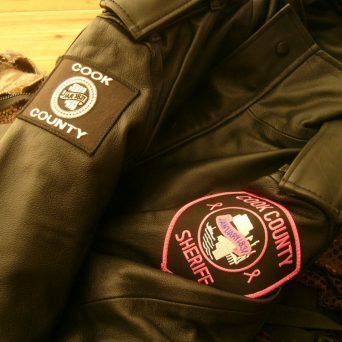 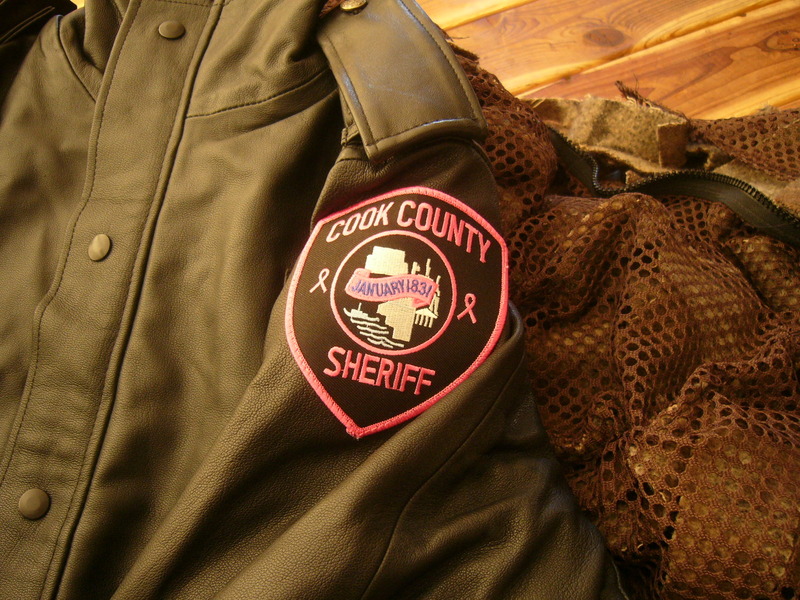 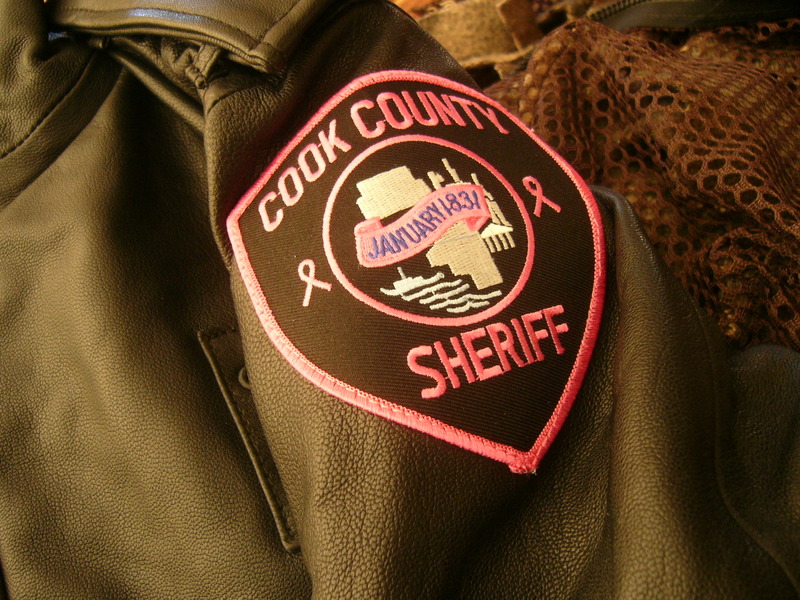 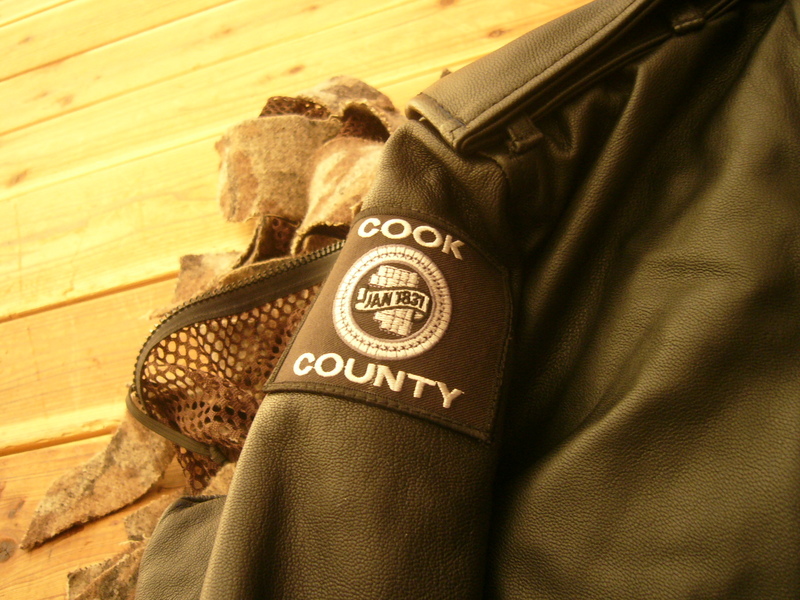 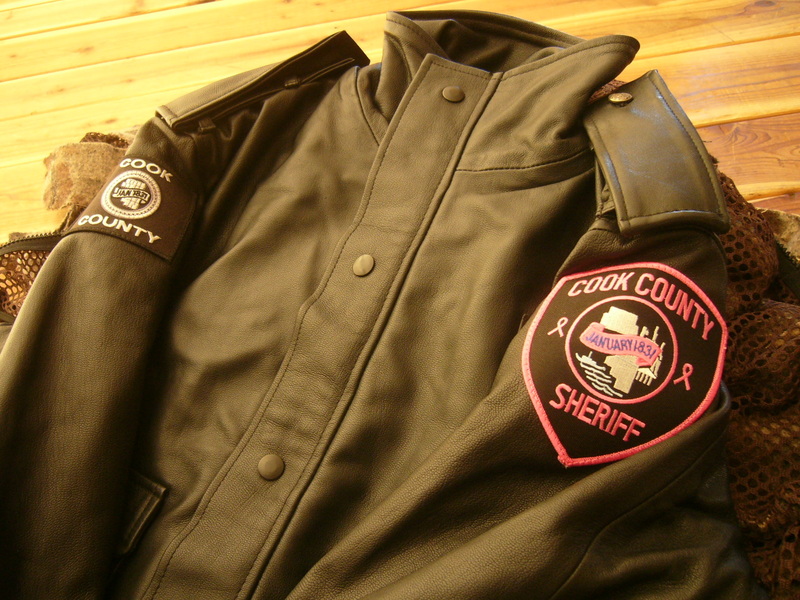 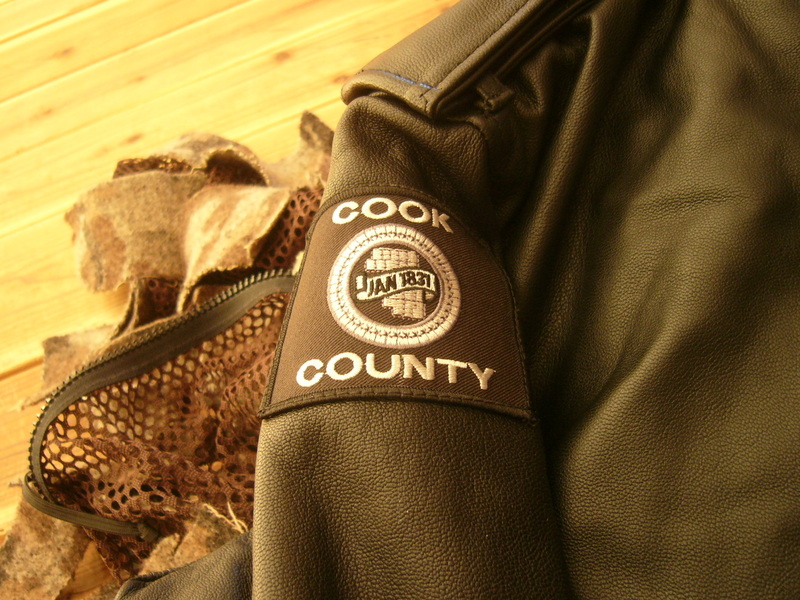 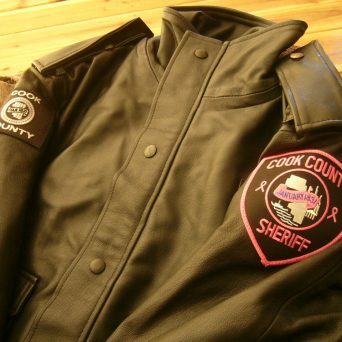 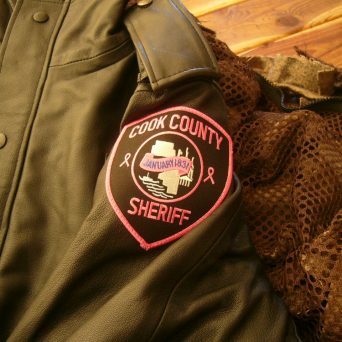 COOK COUNTY MID-LIGHTWEIGHT EVERY OPTION W/ ZIP OUT THINSULATE! 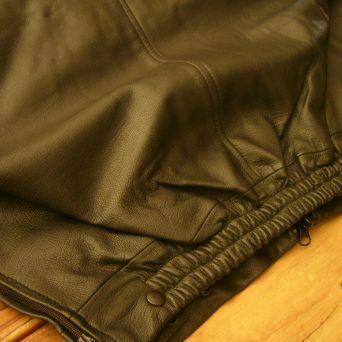 Jacket is worn in 80 plus degrees without liner; high end processed leather, soft and supple. 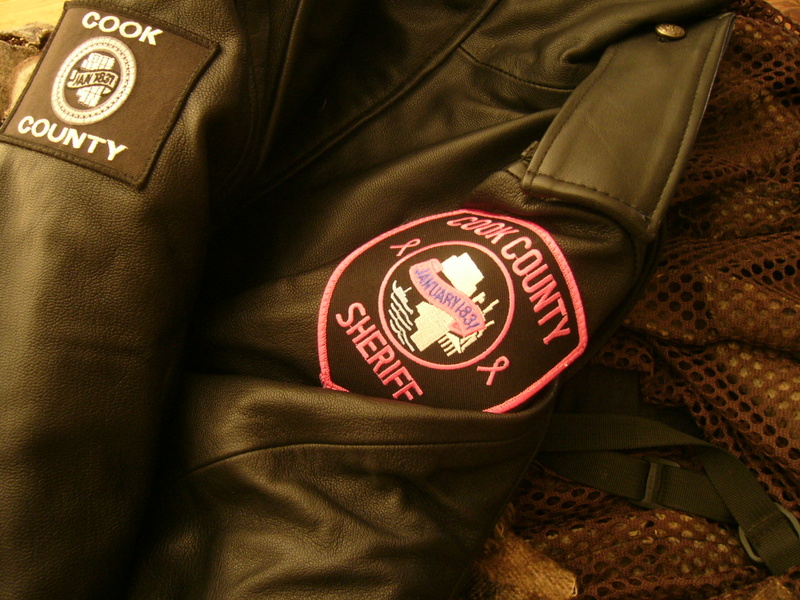 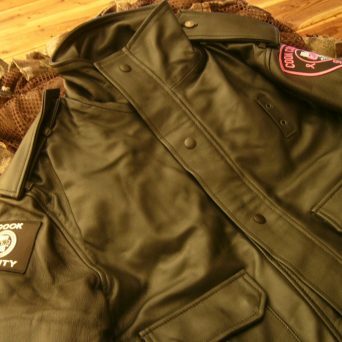 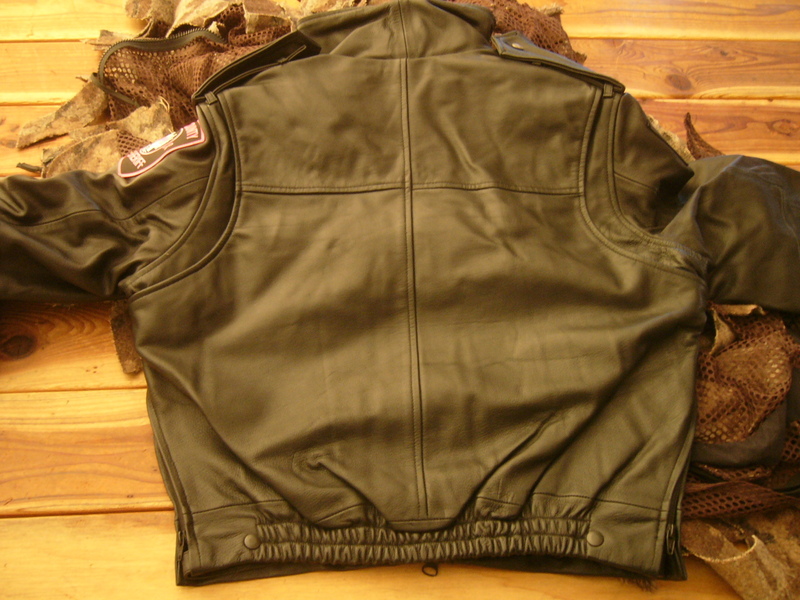 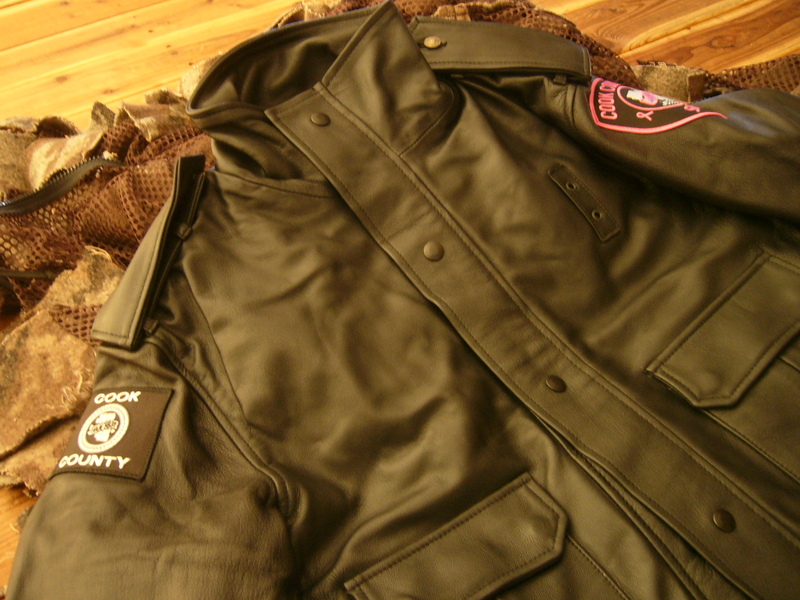 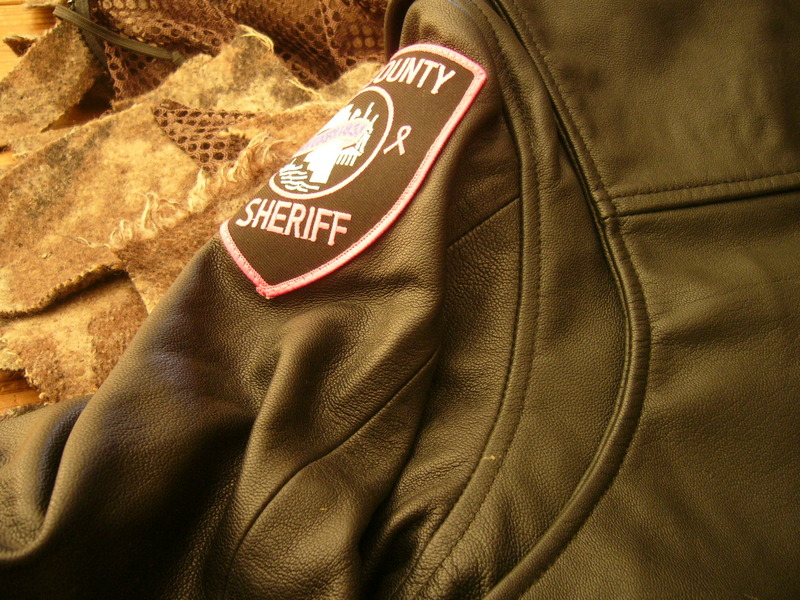 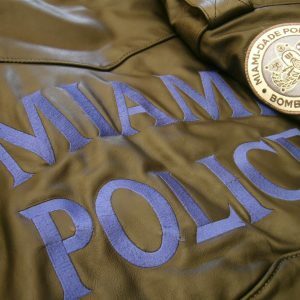 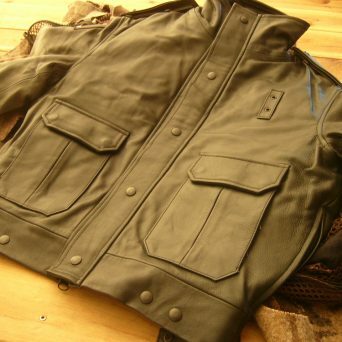 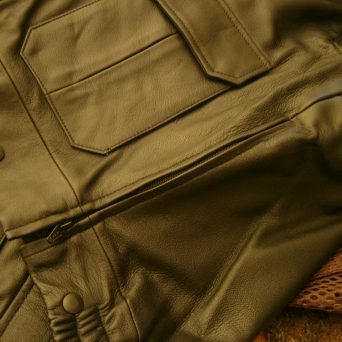 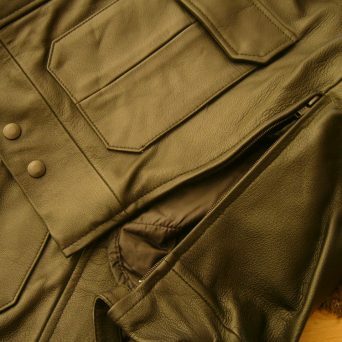 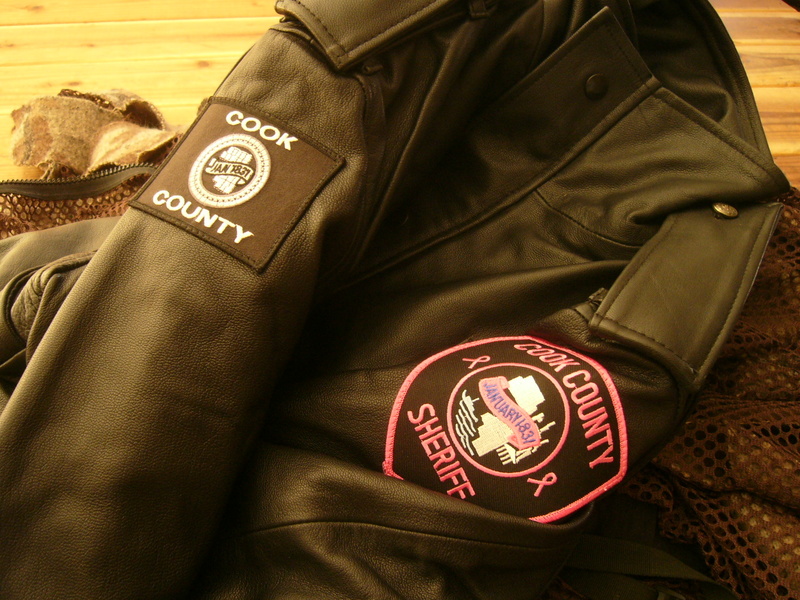 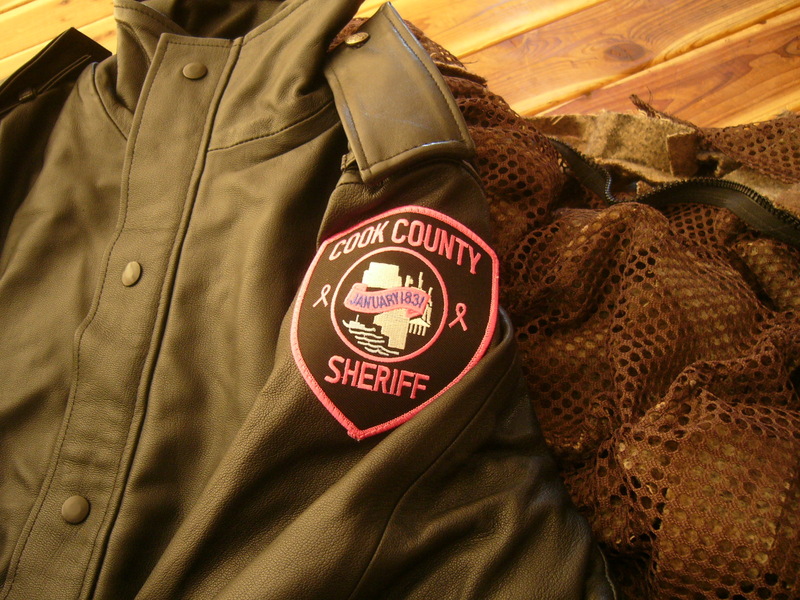 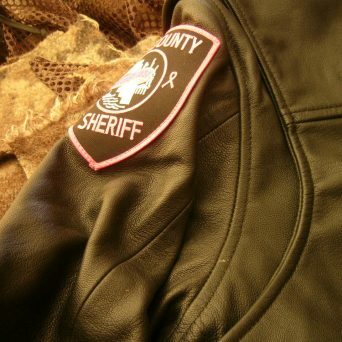 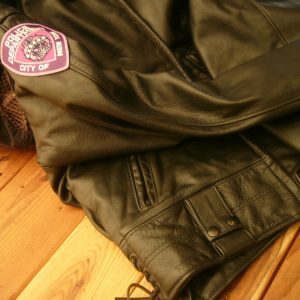 Not a motorcycle jacket; actual uniform summer leather jackets with Thinsulate zip out lining. 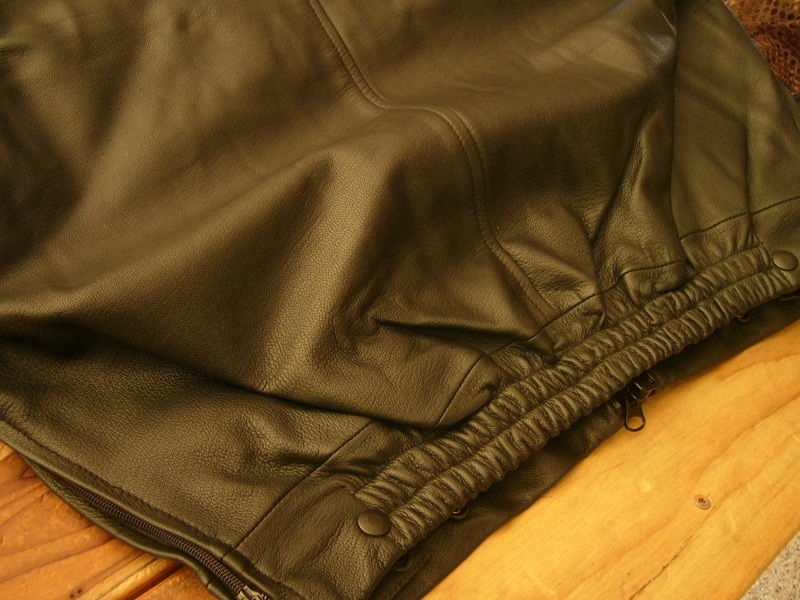 Lining in you can drop to 50 degrees (ish). 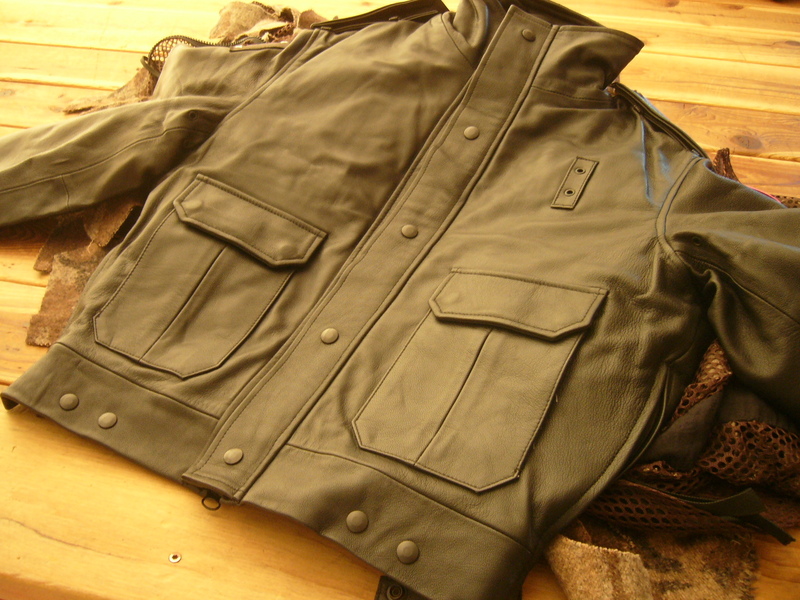 Shown with collar up; fold down collar. 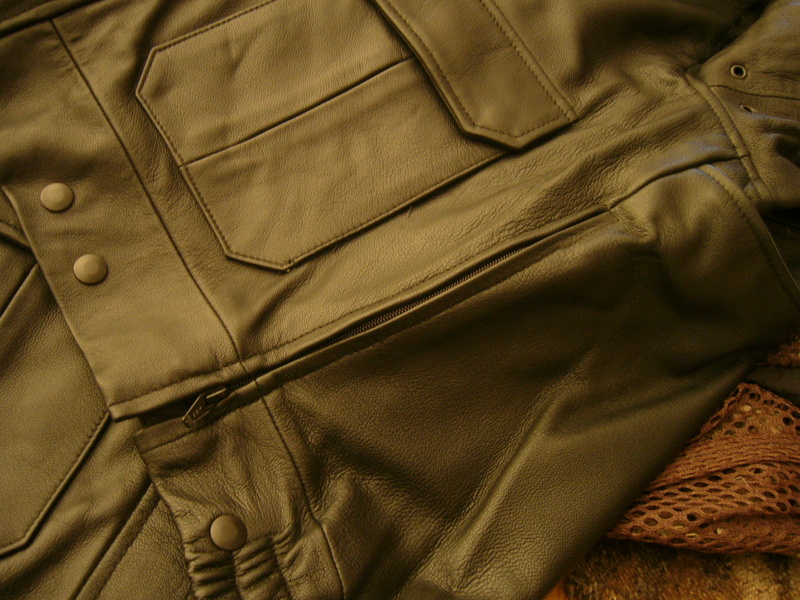 Side zippers are 8 1/2 inches both sides and allow access to pockets/firearm/equipment. 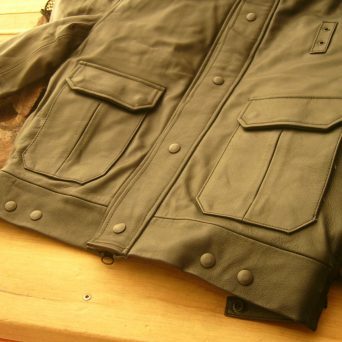 Military style epaulets are completely removable and or unsnap to install rank, merit, whatever. 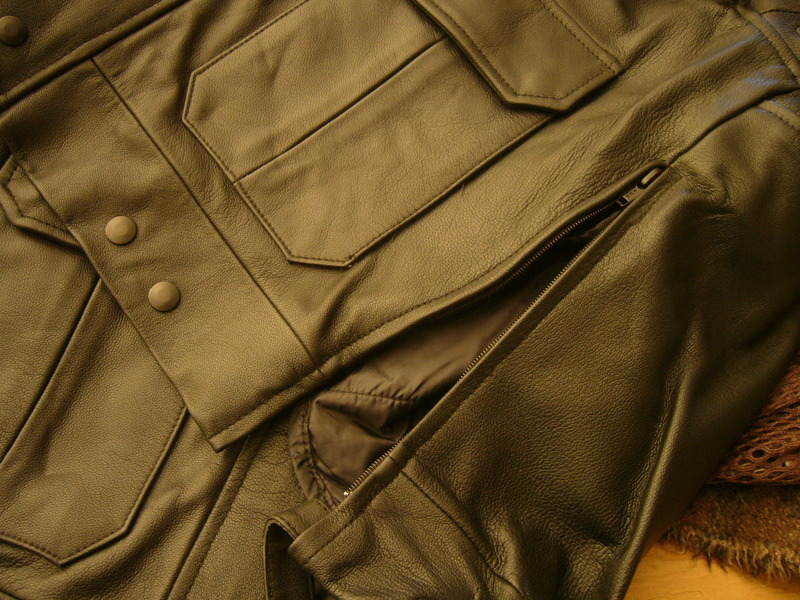 Two front pockets have velcro and two snaps each. 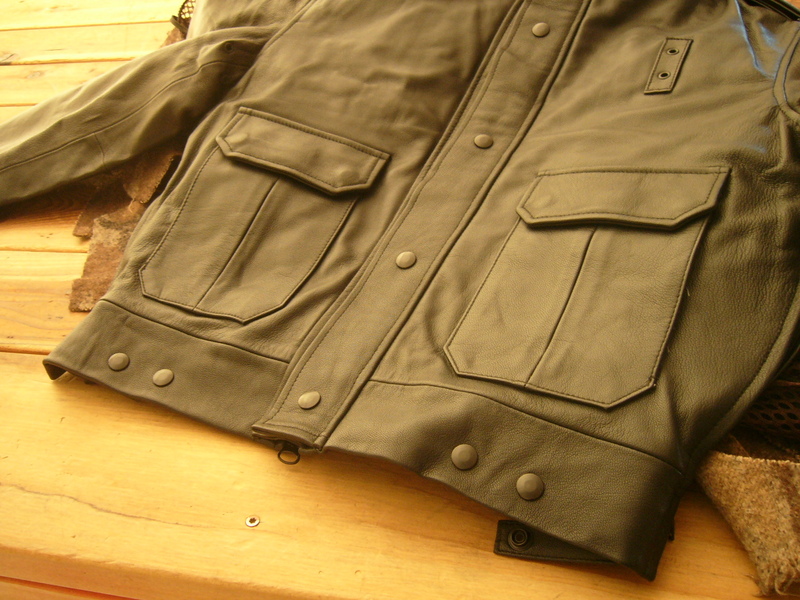 Full blackout buttons and YKK Blackout zippers throughout. 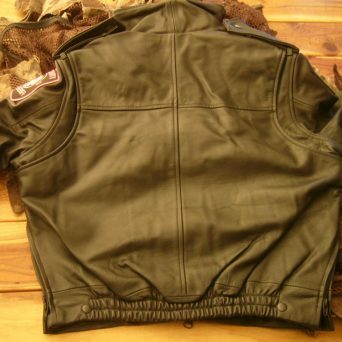 Waist is adjustable with dual tension straps and elasticized waistband. 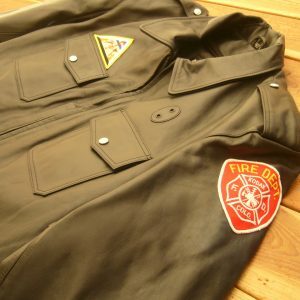 Men’s Medium and Small sizes only. 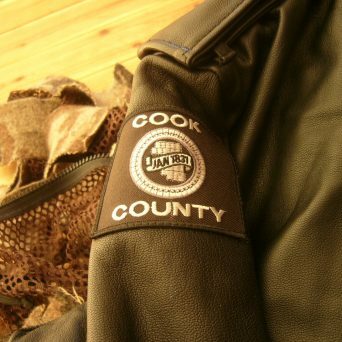 Az pays tax visa MC Discover AMEX add 3.5% Not for sale in the state of Illinois without LE bona fides but hey anywhere else you are in! 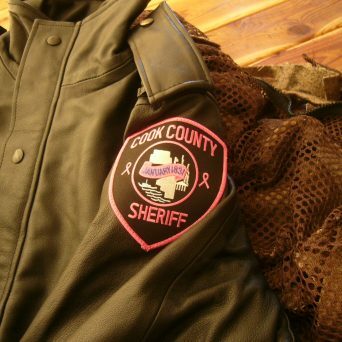 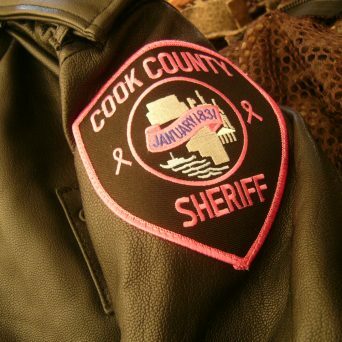 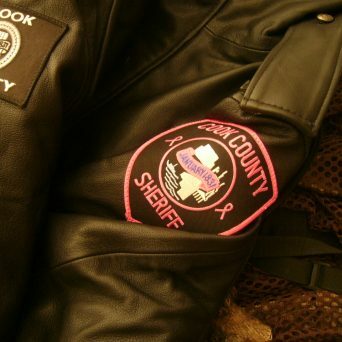 DOn’t think anyone in Kansas or Alaska or PA will hassle you for wearing a Breast Cancer Awareness jacket but again these are sold as “collectibles” only. 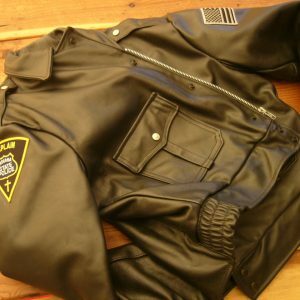 Actors/Actresses are wearing em everywhere..